Kyle MacLachlan to Join Illustrious List of Men Who Have Played FDRFrom Mayor of Portland to POTUS! Kyle MacLachlan Had the Same Reaction You Did the First Time He Saw ShowgirlsAt least he got to go skiing during production! As It Turns Out, David Lynch Refers to Kyle MacLachlan As ‘Kale’And not because of the vegetable. The Hidden Significance Behind Dougie’s Favorite Statue in Twin PeaksIt all goes back to David Lynch’s family. 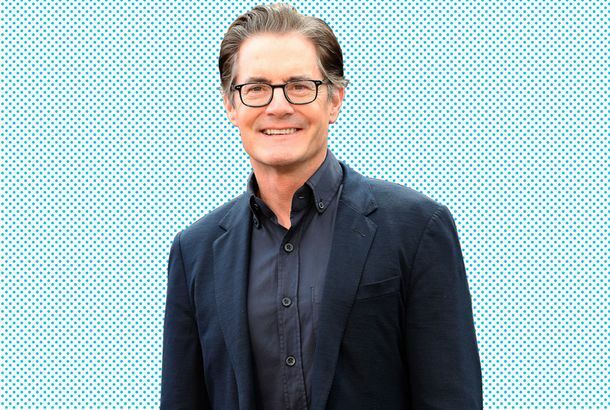 Kyle MacLachlan Joins Next Creepy Project: The House With a Clock in Its WallsThe original 1973 John Bellairs horror novel was illustrated by Edward Gorey, so the creepiness bar has been set very high. We Wouldn’t Mind Spending 25 Years in The Late Late Show’s Red RoomEnunciate your words, damnit! Kyle MacLachlan on the Art of Playing Twin Peaks: The Return’s Many CoopersAnd basing Dougie’s “Hello!” on David Lynch himself. Twin Peaks x Vulture: A Random Nightmare▶️ The cast of Twin Peaks — including Kyle McLachlan and Naomi Watts — created this short film with Vulture in the spirit of the series. All Hail Kyle MacLachlan’s Twin Peaks Social-Media BlitzDamn fine memes. The Returning Stars of Twin Peaks, Then and NowEveryone looks great. The Best Show on TV Is Twin Peaks: The ReturnNo other series takes as many chances. In Praise of Dougie Jones, the Biggest Tease in the New Twin PeaksThe bizarrely hilarious character is Twin Peaks at its best. Take a Moment to Appreciate Kyle MacLachlan’s Hair in the Twin Peaks PremiereHe’s seen better hair days. Where Twin Peaks Left Off: A Complete Guide to the Show’s Returning CharactersEven long-dead characters will be back for the new season. Why Agent Cooper’s Twin Peaks Entrance Is So BrilliantBest TV character introduction of all time? Showtime Is Just Mercilessly Teasing Us With Twin Peaks Content at This PointNot that we’re complaining. Showtime’s New Twin Peaks Trailer Is a Blast From the PastThe premiere is near. Prepare to Get Weird With Twin Peaks at South by SouthwestNeko Case, M. Ward, and Tame Impala will be performing “Twin Peaks–inspired” music. FBI Special Agent Dale Cooper Returns in Latest Twin Peaks TeaserSomeone get this man a damn fine cup of coffee. Kyle MacLachlan Teases the Twin Peaks Revival: ‘It’s Gonna Be Amazing’At David Lynch’s Festival of Disruption. Series Actors to Lend Voices to Twin Peaks BookThe novel will bridge the gap between the original series and the upcoming revival. Twin Peaks Alumni: Where Are They Now?Cast members speak on the show’s past and future. How I Met Your Mother Finally Explained ‘The Pineapple Incident’Shockingly, it involves the Captain. A Familiar Face Is Headed Back to How I Met Your MotherCaptain, my captain! Kyle MacLachlan Cast on The Good WifeAdmit it, you thought Kyle MacLachlan had already been on The Good Wife. Which Role Was Better: As Cop or As Killer?Is Dominic West better as McNulty, or as a serial killer? 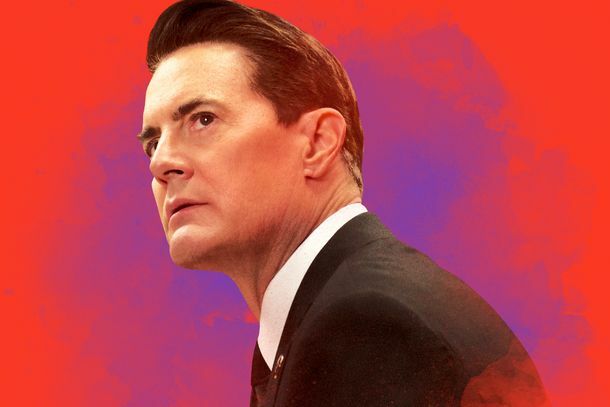 Agent Cooper Wants to Go Back to Twin PeaksUnfortunately, it doesn’t sound like David Lynch will be involved.